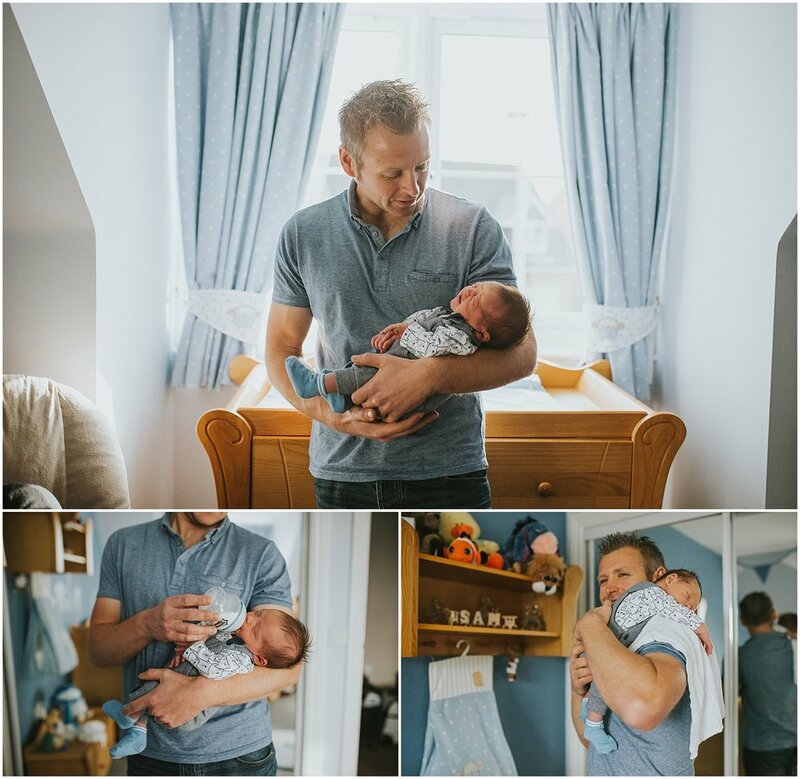 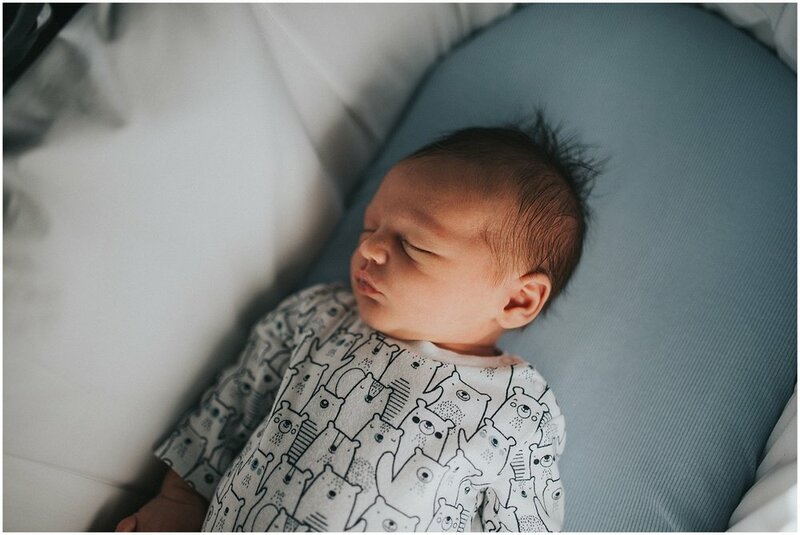 I love to document newborns in a very natural way so I was delighted to be asked along to meet this beautiful family with their newest addition. 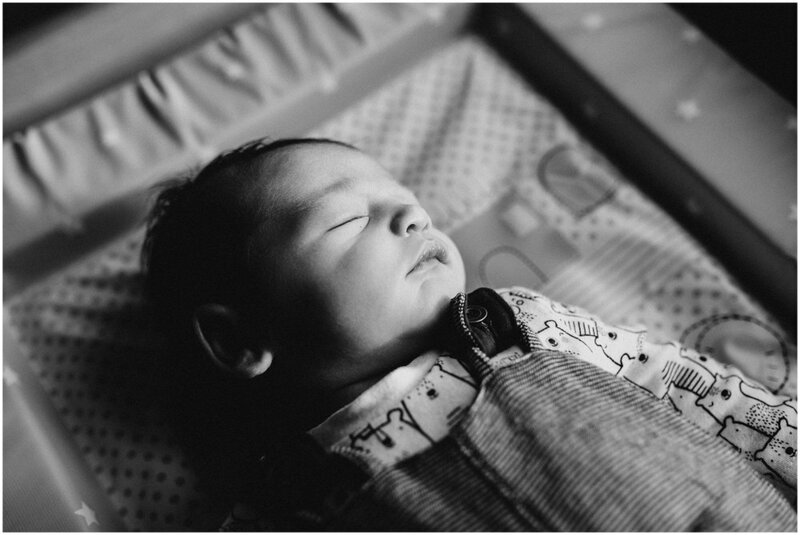 Newborn sessions always take place in your home where you are comfortable & relaxed. 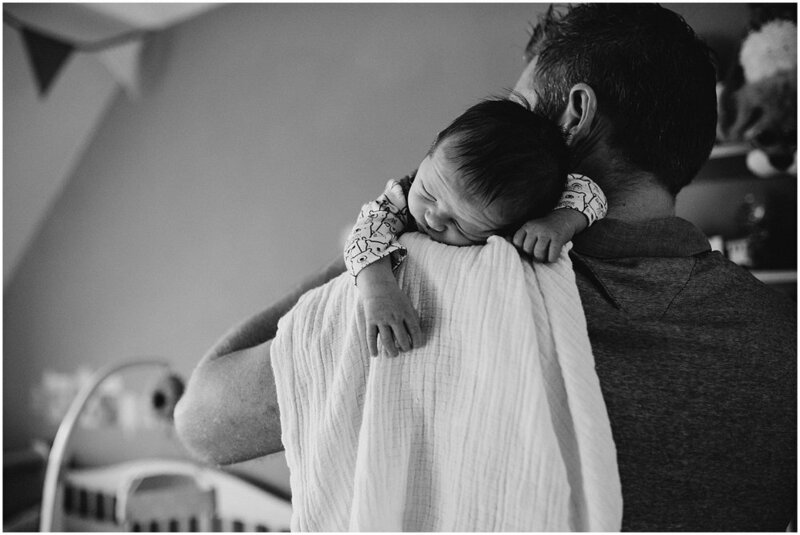 It was so amazing to see the love they all have for this little bundle of joy and get to capture some precious moments for them. 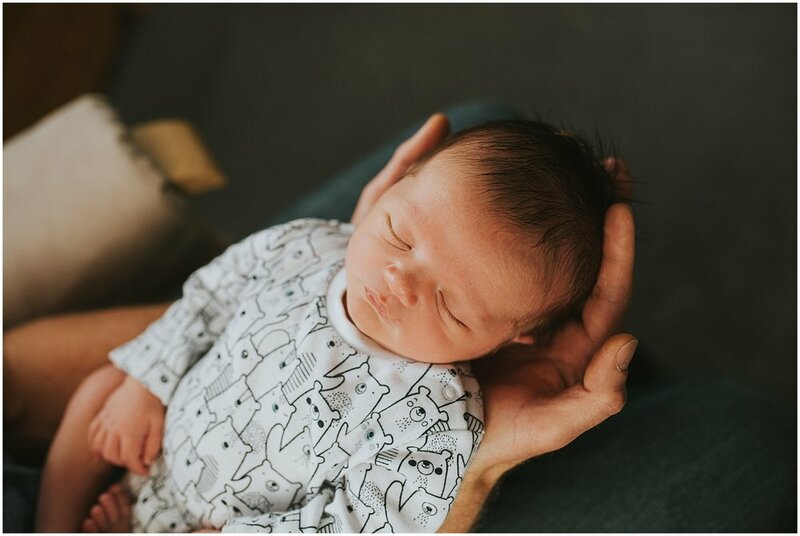 ....& we couldn't forget about big brother so we popped outside to get some images of him playing with daddy in the garden while mum fed Sam.